Isn’t funny how certain things grab our notice. Yesterday I was shopping with a 50% off coupon and loved this Trish Burr embroidery design in her newer book, “Crewel & Surface Embroidery”. I love the way she embroiders leaves, especially her color choices. 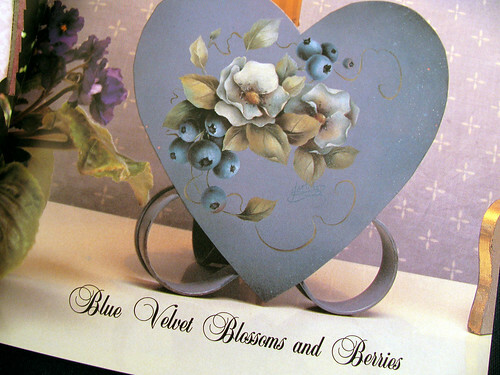 Reading about the design today I noticed Ms. Burr gave credit to Gretchen Cagle’s book “Decorative Painting Keepsakes”. So I looked over and sure enough I had that book on my book shelf. What a coincidence. Now I must make more effort to paint some of these flowers and then embroider a matching something. Just what I don’t know. The design painted. I bought this book in 1997 shortly after we moved into our first house. It is about time I did some of the painting that I had planned. 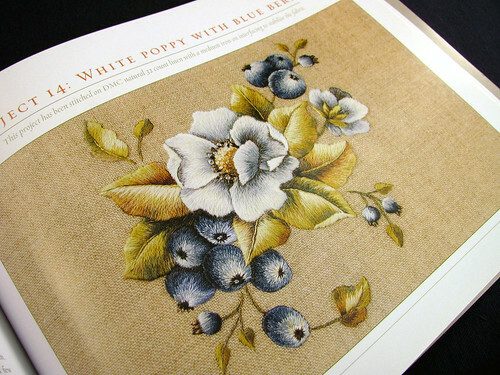 I am sure I could have used of Cagle’s painting designs as patterns for embroidery. It is nice to know that by waiting so long to start, Trish Burr did the all the work figuring out the stitches and colors. This entry was posted on Tuesday, February 17th, 2009 at 3:00 am and is filed under Embroidery. Tagged: Book, Craft, Embroidery. You can feed this entry. You can leave a response, or trackback from your own site.